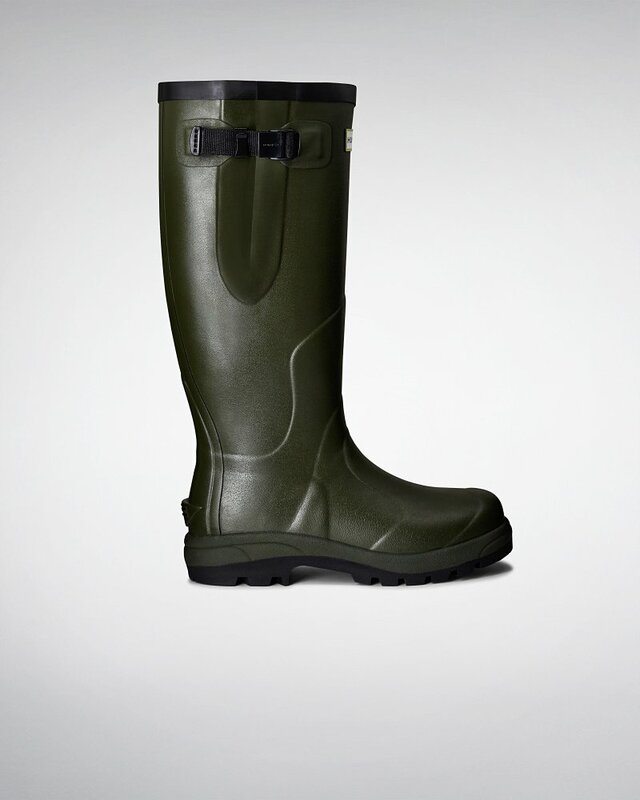 Built with advanced technical elements, the Balmoral Classic wellington is an all-terrain boot. A heavy-duty rubber construction is finished with a statement black top binding, buckle feature and chunky set sole with high traction tread. The design incorporates a contoured topline for comfort and reinforced panelling at both the shin and foot of the boot for additional protection.